Welcome to the Men’s Corner at Best Impression Medical Spa and Laser Center. 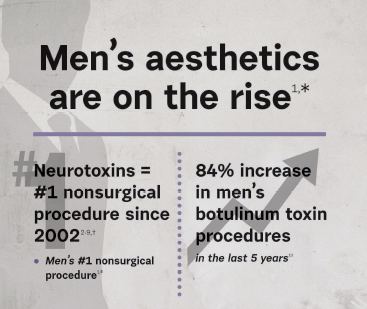 According to the American Society of Plastic Surgeons, male Plastic Surgery procedures are on a dramatic rise – and with good reason. Most procedures are quick, have little downtime and produce dramatic results. From the busy dad to the business executive to the weightlifter, procedures can be tailored to your specific needs. At Best Impression Medical Spa and Laser Center, we create a relaxing atmosphere where licensed aestheticians and nurses perform a variety of procedures to help you feel rejuvenated. 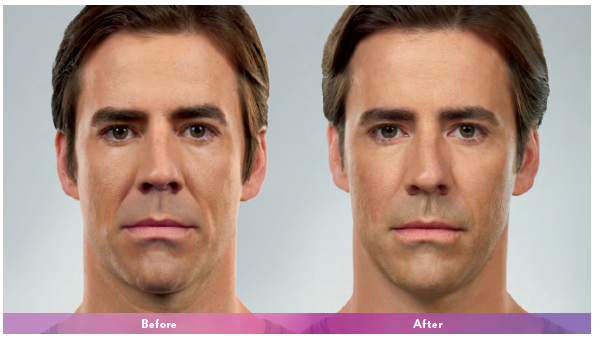 We offer a variety of quick, non-invasive procedures with virtually no recovery time. The result will look like a natural outcome from living a healthy lifestyle. As the industry pioneer, NeoGraft® launched the first automated follicular unit extraction system into the American hair restoration market. The procedure revolutionized the patient experience and satisfaction, all without leaving a large linear scar in the back of the patient’s scalp. After performing more than 10,000 transplants without a visible scar, NeoGraftâ is now the most trusted name in hair restoration. Best Impression Medical Spa and Laser Center is pleased to offer this new revolutionary procedure to men that suffer from hair loss. This is a simple treatment that will smooth the lines around your eyes, forehead, and in between the eyebrows. The treatment takes 5-10 minutes, and the effects last for 3-6 months. The result is a subtle, younger, and healthier look . Botox can also be used in the armpits, palms, and soles to help eliminate sweat with effects that last up to 9 months! Injection of the botulinum toxin into the muscles under facial wrinkles causes a relaxation of the muscles with a resultant smoothing of the skin over the injected region, giving a younger and smoother facial appearance. Facial fillers can help with sagging skin around the cheeks and lower neck, and restore your facial contour and smooth out any hollowing. Areas commonly treated are the temples, under the eyes, the cheeks, the lower face, the lines around and above the mouth, and the chin. We can also use filler to smooth out a prominent hump on your nose. 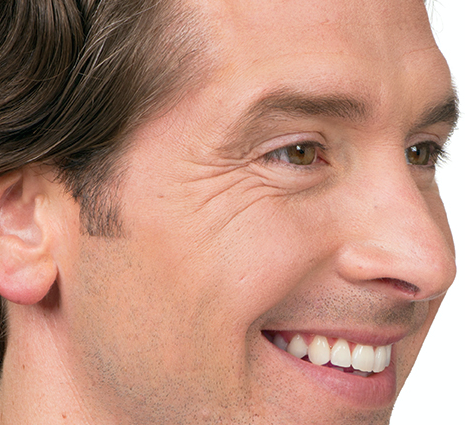 The procedure is fast and can last anywhere from 6-18 months – with little downtime. There are multiple fillers to choose from, and Dr. Mirabile, Dr. Hsu, and our nurse injectors can help guide you. Kybella is a revolutionary new product that can be injected under the chin and upper neck dissolving the underlying fat deposits. This fast and easy procedure improves the overall profile of the area. Most patients require 2-3 treatments to achieve a dramatic difference — without surgery!